We are manufacture of Premium Brass Builder Hardware products. 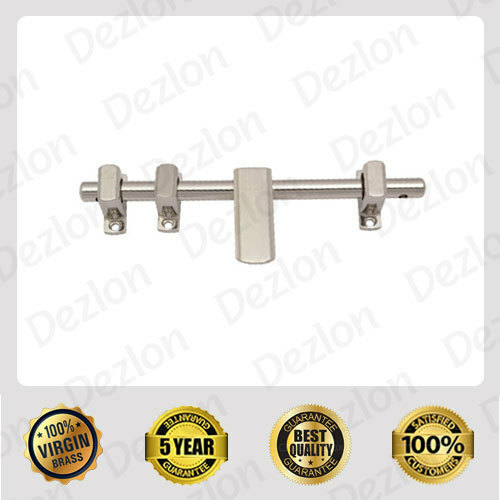 DEZLON brass products comes with wide range of Brass Door Fittings, Brass Window Fittings, Brass Glass Fitting, Brass Furniture Fittings, Brass Accessories etc. Which is produces from super quality raw materials. We give assurance that these all items are well tested in manufacturing process. Incepted in the year 2016 at Jamnagar (Gujarat, India), We “Dezlon Industries Private Limited” are a qualitative company renowned in manufacturing high quality array of DEZLON Brass Architectural Hardware includes storm proof Brass Door Hinges, Brass Tower Bolts, Brass Interior Fittings, Brass Glass Fittings, Brass Shower Cubicle Fittings, Brass Wire Rope Fittings, Brass Cable Glands & Accessories and various other brass hardware products & Brass Components. The offered Brass Architectural Hardware Fittings & Components is made utilizing high grade raw material and Offered assortment is widely acclaimed for its high strength, rust resistance and durability. Under the direction of our Inspection Team, We have gained an alleged name in the industry.